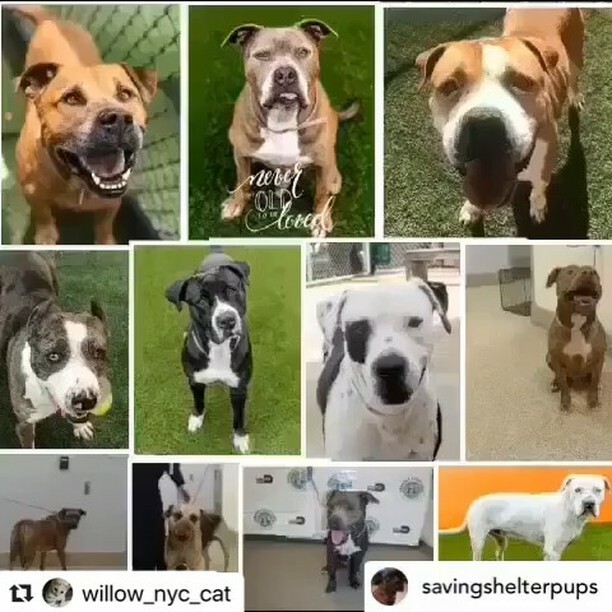 Well these guys may not even have a day, seeing that the shelter is full to it’s capacity the first to go are the longer residents, like these: Meet Tyson #A2001772, Bill #A1999177 (video included), JJ #A1633467, Rocky #A1831189, Maximus #A2021146, Dutch #A2021499, Dusty #A2001676, Rocky #A1203103 (video included), Rogue #A2018027 (video included) and Tank #A1368653. 📝 Rogue, the only girl dying tomorrow. She’s so beautiful💔 . 📝 Bill doesn’t like small dogs and prefers calmer females. .
Will be mourning them or celebrating their freedom?? It’s up to us all!! .